For as long as I have had the honor of receiving communion, the rule has been to fast for one hour before reception. The days of fasting from midnight are real to me only in light of my parents’ memories. I am thankful that the rule was changed. It was a necessity in light of the many times of day that Masses are offered today. Yet, I do find that on the days when I go to early morning Mass and have not eaten breakfast beforehand, my appreciation of the Sacrament is different. At that moment in time, the Eucharist satisfies both my spiritual and physical hunger. In The Sacraments We Celebrate: A Catholic Guide to the Seven Mysteries of Faith , Msgr. Peter Vaghi discusses how the Eucharist was designed to feed both our bodies and our souls. He points out how the only miracle that is told in all four Gospel accounts is the multiplication of the loaves and fishes. It is “surely an image of the Eucharistic bread. ‘for the Jewish feast of the Passover was near.’ Even the language in John 6:11 recalls the institution of the Eucharist – ‘Jesus then took the loaves of bread, gave thanks [eucharistein] and passed them around.’” Jesus fed the multitude in body and in spirit. He continues to do so today. The Eucharist is the gift of Jesus himself. It is both physical and spiritual food. While the appreciation of physical satisfaction may only occur when we go to Mass hungry, we are always in need of spiritual food. I know in my own life that if I only go to Mass and receive the Eucharist once a week, I find it much harder to get through the week than if I am able to go at least one extra time. The Eucharist gives me a strength and a peace that I cannot get through any other means. Yes, I can pray (and I do!) and it helps tremendously. I can go to adoration and sit in the presence of Jesus and that offers much grace as well. Still, nothing is like receiving the Eucharist itself. I know I don’t fully understand the mystery of the Eucharist, but I believe that Jesus is truly there, that He comes into each of our hearts and our bodies. He does this because He loves us and wants to offer the very gift of Himself to us. He knew that life is hard. He knew we would be hungry – that we would need food for the journey. The Eucharist is our food. It strengthens us, body and soul. Today is the feast of St. Jude. My parish held its annual St. Jude Novena of Masses. It is always a wonderful time of blessing for my parish and a time to join with others in prayer for all of our needs. Priests that have had a connection to our parish in the past are invited back to say Mass and preach. The priest who said Mass Monday night served at our parish as a curate in the early 1980s. He now teaches at the college level as well as teaching candidates for the permanent diaconate. We have two deacons at our parish. The priest joked a bit with him. He also pointed out that the word "deacon" comes from the Greek word "diakonos" which means "servant." He told the congregation that by virtue of our baptism we are all called to the diaconate - not the ordained variety, obviously, but we all are called to serve - every day - every one. Please pray for a friend of mine who asked for prayers regarding her husband's employment situation. If you have a high school student starting his or her college search, you might want to purchase The National Catholic Register 2010 College Guide. THE NATIONAL CATHOLIC REGISTER'S 2010 COLLEGE GUIDE expands on the popular guide published in the newspaper and on its website, NCRegister.com, each year. Along with schools' answers to 10 Yes or No questions related to basic Catholic identity, the book provides hard data on costs and financing, degrees and curricula, and religious and extracurricular activities. Road-ready, compact and sturdy enough to stand up to repeated page-throughs, it's the one guide no college-bound Catholic student should leave high school without. This article by Misty Krasawski was reprinted in the MassHope Newsletter and I loved it. Love bears all things even while running on no sleep; believes all things, especially God's promise to indwell and empower her; hopes all things, such as that she'll actually complete the English curriculum this year and the kids will eventually graduate; endures all things, even questioning from strangers, worried relatives, and most of all, herself. Love never fails. And neither will she. As long as she never, never, never gives up. Catholics also need to remember it's OK to let go. . . We're pro-life, but we're also pro-eternal life, and we have been for centuries, from the beginning. Advent is right around the corner. 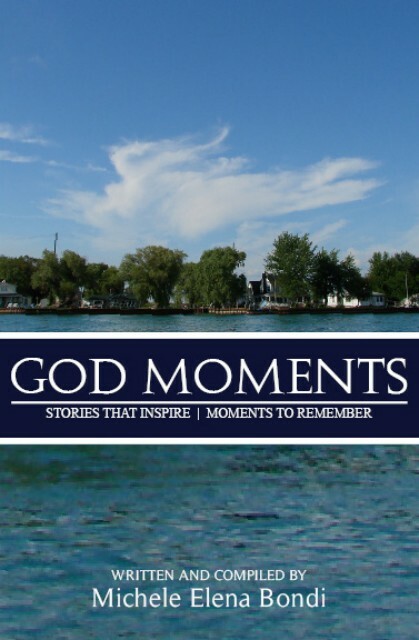 Are you looking for a spiritual resource to help you prepare for Christmas? 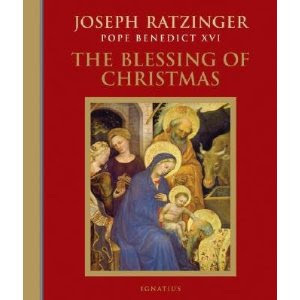 The Blessing of Christmas: Meditations for the Season by Joseph Ratzinger (Pope Benedict XVI) will help you do just that. What Does it Mean to Have a Spiritual Friend? It is important to note that spiritual friendships can exist between any two people. They can exist between a husband and wife, siblings, parent and child, a man and a woman, two women or two men. They do not need to be of the same background or faith. What matters is that God is at the center of the friendship. Spiritual friendships are very important and beneficial. Those who have them are extremely blessed. Interested in learning more about Blessed John Henry Newman? his official biography is written by an Australian priest of the Oratoire de France and destined to be read by those from the world over due to the beatification of Newman in September by Pope Benedict XVI. They will find in this book an extraordinary grasp of Newman's significance and a genius for making it known. I saw this book advertised in the Ignatius Catalog and it looked very interesting. Aided by the Inklings-that illustrious circle of scholars and writers made famous by its two most prolific members, C.â€…S. Lewis and J.â€…R.â€…R. Tolkien-Tom and Laura begin to suspect that the fabled Spear of Destiny, the lance that pierced the side of Christ on the cross, is hidden somewhere in England. Weaving his fast-paced narrative with actual quotes from the works of the Inklings, author David Downing offers a vivid portrait of Oxford and draws a welcome glimpse into the personalities and ideas of Lewis and Tolkien, while never losing sight of his action-packed adventure story and its two very appealing main characters. "Let us pray God to teach us: we need His teaching; we are very blind. The Apostles on once occasion said to Christ, when His words tried them, 'Increase our faith.' Let us come to Him honestly: we cannot help ourselves; we do not know ourselves; we need His grace." "Though temptations present themselves to you in society, you would soon find temptations in solitude, were you to indulge your love of it. We cannot escape from ourselves, wherever we are - and we are the sinners, not the places in which we find ourselves." "Man is not sufficient for his own happiness; he is not happy except the Presence of God be with him. When he was created, God breathed into him the supernatural life of the Spirit which is his true happiness: and when he fell, he lost the divine gift, and with it his happiness also. Ever since he has been unhappy; ever since he has a void within him which needs filling, and he knows not how to fill it." "The religious history of each individual is as solitary and complete as the history of the world. Each man will, of course, gain more knowledge as he studies Scripture more, and prays and meditates more; but he cannot make another man wise or holy by his own advance in wisdom or holiness." "I would not abstain from food in a way to attract attention - but there are ways of denying oneself, where no one would suspect it." I approached "Take Five: Meditations with John Henry Newman" knowing very little about this recently beatified Cardinal. I finished it wanting to know much more. 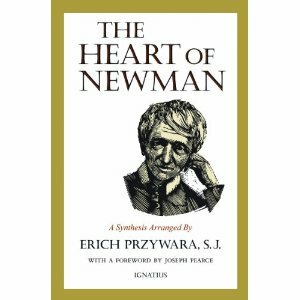 Cardinal Newman was a "teacher, editor, administrator, and clergyman - and he still found time enough to write books that have been profoundly influential in the fields of theology, philosophy, history, and fiction." "Take Five" begins with a short biography of Newman's life, from his education and life as an Anglican to the reasons for his very public conversion to Catholicism. It then offers 76 short reflections. Each one features a short excerpt from Newman's work that focuses on a given theme. A few key points are highlighted in "Think About It" which is followed by a quote or two from scripture and a take-away statement to remember. Newman's wisdom focuses on how to incorporate faith into everyday life. His words ring true and are very relevant over a hundred years after his death. 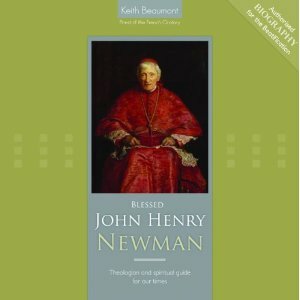 This little book provides much food for reflection and offers a wonderful introduction to Newman's thought. This review was written as part of the Catholic book reviewer program from The Catholic Company. Visit The Catholic Company to find more information on Take Five - Meditations with John Henry Newman. Also be sure to check out their great selection of baptism gifts. Say the following prayer for nine consecutive days, nine Fridays, Saturdays, or Sundays or every hour for nine hours. O Immaculate Virgin Mary, Mother of Our Lord Jesus and our Mother, penetrated with the most lively confidence in your all-powerful and never-failing intercession, manifested so often through the Miraculous Medal, we your loving and trustful children implore you to obtain for us the graces and favors we ask during this novena, if they be beneficial to our immortal souls and the souls for whom we pray. You know, O Mary, how often our souls have been the sanctuaries of your Son who hates iniquity. Obtain for us then a deep hatred of sin and that purity of heart which will attach us to God alone so that our every thought, word, and deed may tend to His greater glory. Obtain for us also a spirit of self-denial that we may recover by penance what we have lost by sin and at length attain to that blessed abode where you are the queen of angels and of men. Amen. Yet, we are still called to be persistent in prayer, especially in those times when the answers are not clear or forthcoming. This is a time of waiting on God. Those are the times when we still need to pray. We cannot become frustrated and stop praying, believing that God doesn’t care or that He isn’t paying attention. God always cares about what troubles us, even when we don’t feel that way. These are the times when our faith is tested, and paradoxically, strengthened. Waiting is hard. Being persistent in prayer is difficult. It can definitely make you want to curl up and cry. It is perfectly normal to do so. However, even in those times of darkness and uncertainty, we need to be like that widow and keep asking for help. The prayers help, even when it seems nothing is happening. They help give us acceptance and courage and the will to keep going. Be persistent in prayer and trust that God is right there with you in the waiting. When the time is right, He will answer. I would venture to say that almost everyone struggles with this at some point in their lives. I know that I did. This is an extremely good article about a difficult topic and the reasons behind the teaching. Looking for an on-line Great Books Program for your homeschooling high school student or college student? Ignatius Press and the Angelicum Great Books Program have launched an on-line course of studies. 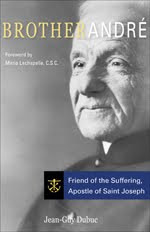 Under the leadership of Ignatius Press founder and editor Father Joseph Fessio as Chancellor, the Liberal Studies Program provides unrivaled educational opportunities for homeschoolers, students enrolled in traditional high schools, and other students aged fourteen (9th grade) and up, to earn college credit while acquiring the foundations for a Catholic liberal education and lifelong learning. LSP offers something unique among the many ways high school students can earn college credit — an online program specifically for Catholic students who want to embark on acquiring a liberal education using the Great Books approach pioneered by the great philosopher, educator, and Catholic convert Dr. Mortimer J. Adler. Fidelity to the teaching of the Catholic Church is fundamental to the LSP program. Pope John Paul II's Apostolic Constitution on Catholic higher education, Ex Corde Ecclesiae, guides the LSP's Catholic mission. LSP is accepted for college credit at Benedictine College (Atchinson, Kansas, USA); Campion College (Australia); St. Bede's Hall (Oxford, UK); Catholic Distance University, (online); and other colleges and universities. The growing list of collaborating colleges — the Universities of Western Civilization. The costs of the LSP are a small fraction of the expense of traditional college education. Tuition and fees at a private, four-year college average $26,273 per year — over $100,000 for a four-year degree. With a coordinated course of study through LSP and its affiliates in the Universities of Western Civilization network of cooperating colleges, students can obtain a bachelor's degree with an accredited college for as little as $26,600 — about a fourth of the cost of four years on campus. Brother André Bessette, C.S.C, a doorkeeper whose ministry to the sick led him to be called the “Miracle Man of Montreal” will become the first saint of the Congregation of Holy Cross when Pope Benedict XVI canonizes him in St. Peter’s Square on October 17, 2010. Born Alfred Bessette to Isaac and Clothilde Besette on August 9, 1845, in Montreal, Brother André entered Holy Cross in 1870. He worked as a porter at a Montreal school run by the Congregation and soon began to earn a reputation as a healer and miracle worker. Bessette’s biographers recount tales of crippled rheumatics healed and fever-stricken schoolboys made suddenly well, often aided by “Saint Joseph’s oil,” which Bessette rubbed on wounds and sick limbs after burning it before statue of the patron saint of his religious order. More than seventy years after Brother André’s death in 1937, millions of pilgrims travel each year to Saint Joseph’s Oratory, which he founded in Montreal in 1904. Brother André was declared Venerable by the Catholic Church in 1978 (the first of three steps toward sainthood), and Blessed in 1982 (the second step). A delegation of Holy Cross brothers, sisters, priests, and supporters from around the world will make the pilgrimage to Rome for the canonization. Praying in joyful thanksgiving for the holy example of Brother André’s life and asking him to intercede for them, these pilgrims will reflect on this saint raised up in their midst and attend events associated with the canonization. · Blessed Mary MacKillop, 1842-1909, Australia’s first saint and founder of the Sisters of Saint Joseph of the Sacred Heart. · Blessed Stanislaw Soltys Kazimierczyk, a Polish-born member of the Canons Regular of the Lateran, who lived 1433-1489. He was famous as a preacher and confessor. · Blessed Juana Josefa Cipitria Barriola of Spain. She died in 1912 and was the founder of the Daughters of Jesus. · Blessed Giulia Salzano, the Italian founder of the Catechetical Sisters of the Sacred Heart of Jesus; she died in 1929. · Blessed Camilla Battista Varano, an Italian Poor Clare who lived 1458-1524. I came across this prayer in a little book of prayers that came in the mail today from the The Central Association of the Miraculous Medal in Philadelphia, PA.
Come, Virgin Mary, come and stay with me, for my day is far spent. Come when I am lonely and my spirit cries out for sympathy as a child cries out in the dark. Come, when my soul is troubled and dismayed, and the sins of my past rise up against me. But most of all, in my dying hour, ask the Lord Jesus to come and forgive me before I am called to my final home. Amen. Motherhood is so demanding, it s easy to become a Martha always worried about the next thing we have to do and rarely choosing the better part, as Martha's sister Mary did. Tami Kiser understands. She's a busy mom of nine who juggles teaching at her children's parish school, volunteering at her parish, running a household, and many other responsibilities. Her Smart Martha seminars have helped thousands of women learn to set their priorities so that they still have ample time for Jesus throughout the day. --Approach every Martha task with a Mary attitude. --De-clutter your children's toys for faster cleanup and more meaningful play. --Manage technology to enhance your family's spiritual health. --Create mealtimes that nourish both body and soul. --Tackle household chores as a family. --Foster spiritual beauty in your children. And much more! Your maternal instinct as well as constant demands from family members may call for a Martha mom, but trust in the Lord that they need a Mary mom, too. Be a Smart Martha, with one eye on the task at hand and the other on the Lord. 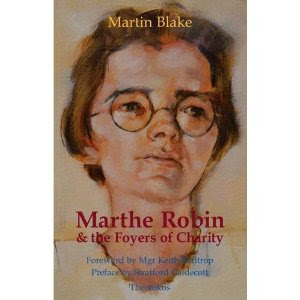 The past few days I've been reading Marthe Robin and the Foyers of Charity (Review to come soon). I had never heard of Marthe Robin before reading this book. She was a French woman who lived from 1902-1981. A mystic, stigmatic, and suffering soul, she founded a Catholic lay movement in France. Her cause for beatification is currently being worked on. One of her major contributions was encouraging the role of the laity in the Church. She predicted a "New Pentecost" long before Vatican II came into being. Living my whole life in the years after this council, I have no personal experience of what it was like to be a lay person before, but I do know that in most circumstances, the laity were considered second-class citizens to the ordained and religious. Vatican II stressed that all are equally called to holiness, that we all have a role to play. I am a lay woman with a Masters Degree in Theology. Had I been born 40 years earlier, that would have been very unlikely. I am blessed and humbled to be able to speak about God and (hopefully) help others live a life focused on what matters. I am extremely thankful for all the wonderful lay men and women who have received and embraced a similar calling. I am thankful for the gift of modern technology that allows us to share our collective wisdom. I know I do not have all the answers and that I personally have many failings. I am but a fellow traveler on the journey. Still, I have been called to do this and I pray that God uses me in the way He sees fit. Only God knows why I was put on this earth at this moment in time. Only He knows the lives I will touch and the lives that will touch mine. But, I am extremely thankful that I do live today. It certainly has its challenges, but it is an amazing time to be a lay woman in the Church. 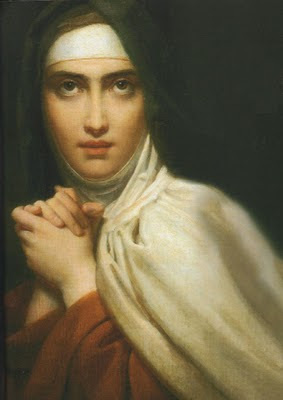 October 15th is the feast day of St. Teresa of Avila. A Carmelite nun living in the 1500s, one of her most famous works is "Interior Castle" (known as "The Mansions" in her native Spain) which she wrote at the request of her confessor. 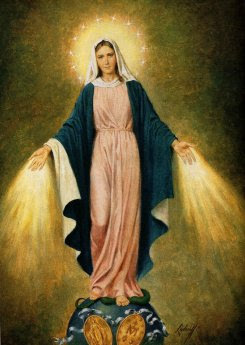 A mystic who communed intimately with God, she had experienced a vision of "a most beautiful crystal globe, made in the shape of a castle, and containing seven mansions, in the seventh and innermost of which was the King of Glory, in the greatest splendour, illuming and beautifying them all. . . outside the palace limits everything was foul, dark, and infested with toads, vipers and other venomous creatures." This castle became Teresa's metaphor for the soul. Teresa truly believed that anyone who knew what treasures lay in the center of this castle would never want to sin because sin mires the soul in “misery and filth.” "Interior Castle" explores each of the seven mansions in great detail. Her intended audience was the sisters who made up her cloistered religious community, however her insights offer much to the world at large. Teresa wrote reluctantly and felt that she had little to offer that had not already been said. She also emphasized that her description and her path to the center of this castle was not the only one. She believed that "Our Lord will be granting me a great favour if a single one of these nuns should find that my words help her to praise Him a little better." She focuses on the beauty of the soul and laments that we spend so much attention on our physical body and so little on the divine spark that is within. As one makes her way ever deeper into the heart of the castle, increased spiritual consolations and trials become par for the course. Many (perhaps even most) do not reach the most inner mansions in this lifetime. Teresa is quick to point out, however, that "the Lord gives when He wills and as He wills and to whom He wills, and as the gifts are His own, this is doing no injustice to anyone." Indeed she cautions her readers to never believe that they deserve any gift that the Lord bestows upon them, nor should we set out to obtain any consolations or mystical experiences because "the most essential thing is that we should love God without any motive of self-interest." Teresa was truly granted amazing gifts of insight and experience from God. While we may not fully share in her experience, "Interior Castle" offers a unique portrait of our souls and invites us into a deeper relationship with God. In reading Paths to Prayer: A Field Guide to Ten Catholic Traditions , I came across this wonderful quote by Aelrod of Rievaulx, a Cistercian monk. He speaks about the importance of both Mary and Martha in that famous Gospel story where Jesus visits their home in Bethany. You see if Mary had been alone in the house, no one would have fed the Lord; if Martha had been alone, no one would have tasted his presence and his words. Martha thus represents the action, the labor accomplished for Christ, Mary the repose that frees from bodily labor, in order to taste the sweetness of the Lord in reading, prayer, and contemplation. . . .
Do not neglect Mary for Martha, nor Martha for Mary. If you neglect Martha, who will serve Jesus? And if you neglect Mary, what will be the use of the visit of Jesus, since you will not taste his sweetness? Know, my brothers, that in this life, it is necessary never to separate these two women. Have you ever heard someone speak of “Augustian spirituality” or “Ignatian Spirituality” or “Dominican spirituality” and not been sure exactly what he was talking about? What does it mean to speak about different schools of spiritual thought? If these are questions you would like to know the answer to, then “Paths to Prayer: A Field Guide to Ten Catholic Traditions” is the perfect book for you. Dr. Pat Fosarelli, a teacher at the Ecumenical Institute of Theology at St. Mary’s Seminary in Baltimore, has written a concise, informative guide to ten major Catholic spiritual traditions. Augustinian, Benedictine, Cistercian, Carmelite, Dominican, Franciscan, Ignatian, Salesian, Lay, and Mystical spirituality are all explored. Fosarelli offers a historical background to each movement and the saints that inspired it. She then goes on to explain its key features. Lastly, she offers well-known examples of persons who have made this spirituality their own, and references for learning more. Her section on “Lay Spirituality” is particularly interesting. Rooted in the teachings of Vatican II, it emphasizes the role lay persons are called to play in the spiritual life of the Church. While certainly not meant to be an exhaustive study of any of these traditions, “Paths to Prayer” does provide a wealth of information. As Fosarelli states, “This is a book that is meant to get readers started, so that, having a better understanding of some of the major Catholic spiritual traditions, readers can then move on to traditions they might like to explore.” She has succeeded admirably in that aim. 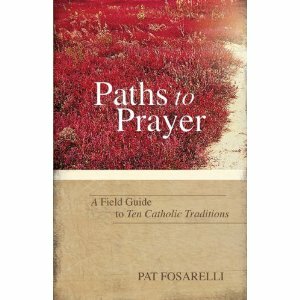 “Paths to Prayer” is for anyone seeking a general overview of different traditions of Catholic spiritual thought. It would also be incredibly useful in a college course on spirituality or for use by a Catholic book club. As Rachel grows closer to Lilly and comes to know Saint Therese, unbidden memories from her edgy past reveal fearful mysteries of seduction, madness, and murder . . . and a truth that will haunt her forever. 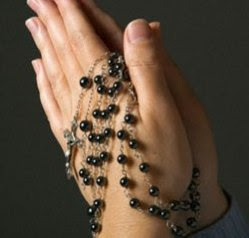 In honor of the Feast of Our Lady of the Rosary (October 7), I am posting how to pray the rosary. I'm sure many of you are already very familiar with this prayer, but if not, I invite you to try it and discover its beauty and power for yourself. The Rosary is a beautiful meditative prayer which invites us to meditate on the lives of Jesus and Mary. beginning, is now, and ever shall be, world without end. Amen. fruit of thy womb, Jesus. O Clement, O Loving, O Sweet Virgin Mary! Pray for Us, O holy mother of God, that we may be worthy of the promises of Christ. 2. Pray the Our Father on the first large bead. 3. Pray the Hail Mary on each of the three small beads. 5. Pray the Our Father on the next large bead. 6. Pray one Hail Mary on each of the next ten small beads while meditating on the first Mystery. 7. Pray the Glory Be and announce the second Mystery. 8. Pray the Our Father. 9. Repeat steps 6,7, and 8, continuing with the third, fourth, and fifth Mysteries. 10. conclude with the Hail Holy Queen. Generally speaking, each day, one set of five Mysteries is meditated upon. I came across this one on the back of the September issue of the Knights of Columbus magazine. Each issue features a priest, religious brother or sister talking about their vocation. This one is from Sister Colleen Smith of the Apostles of the Sacred Heart in St. Louis, Missouri. I believe God calls me to give a human face to the heart of God. In reality, God calls each of us to do that. What an incredible responsibility! 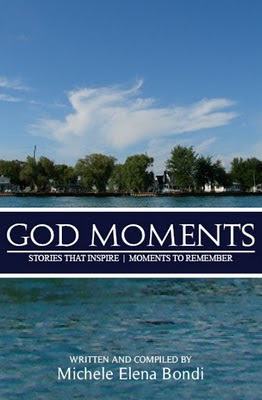 "God Moments" by Michele Elena Bondi is now available for purchase at Joseph Karl Publishing (Scroll down the page to find the link). The event led me to think about how we delight in creating, problem solving, designing, and experimenting. We appreciate the creation of something wonderful and a job well done. Now imagine God at the moment when He decided to create something that He loves very much: us! God, Master of Creation and Teacher, gave Himself the task of creating people. One by one He thought us up, and none of us came out the same! Think about the time God spent on you. Perhaps He started out dreaming of your many talents and the role your apostolate would play in His plan of salvation. Imagine the anticipation God felt and how excited He was through all time for your moment to be born! How much He loved you as He waited. God must have rejoiced in the waiting, knowing that it was perfect timing for your life. Imagine how happy He was to share the world He created for you to live in. Sunrises and sunsets, flowers, animals, plants, streams, breezes. Do you think every time a new person is created there is a celebration in heaven? I bet that God celebrates on your birthday. He rejoices with the angels, saints, and all in heaven, and there is singing and music playing, because what God creates is good. Share in the delight God has for every person He created. His works are constantly on display and there is a show going on every moment. Admission is always free. CatholicMom.com has up a good article on obedience by Cassandra Poppe: Agony in the Garden - Obedience. It is all true and yet, so hard to do. I've been trying and failing my own life (and will no doubt continue to fail until the day I leave this earth). Thank God for confession. I don't know what I would do without it. I came across this quote yesterday when I was doing some research for my weekly article. It makes a good point about St. Francis that I hadn't considered before. The apostles said to the Lord, "Increase our faith." Happy Feast Day, St. Therese!